1. 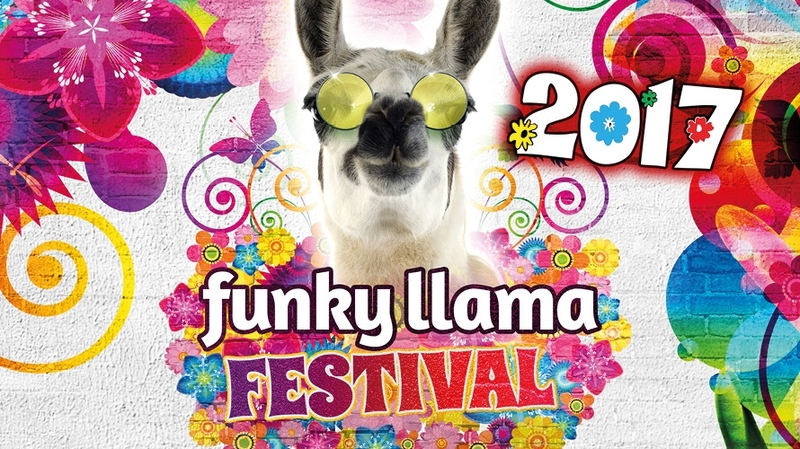 Plymouth Hoe – Funky Llama is bursting onto Plymouth Hoe for the annual festival on Saturday 10th June from 12:00pm – 10:30pm. 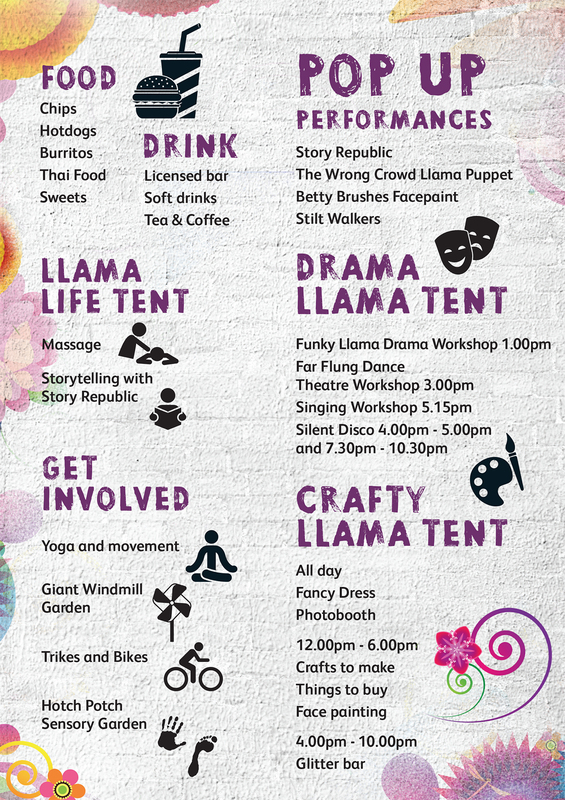 All the things you know and love about Funky Llama are staying the same, but this year we have even more acts and activities and extra evening entertainment. It is a ticketed event which will be managed at the festival gates by Theatre Royal Plymouth staff and security. Tickets can be purchased on the day of the event but this is only available for cash payments. 4. 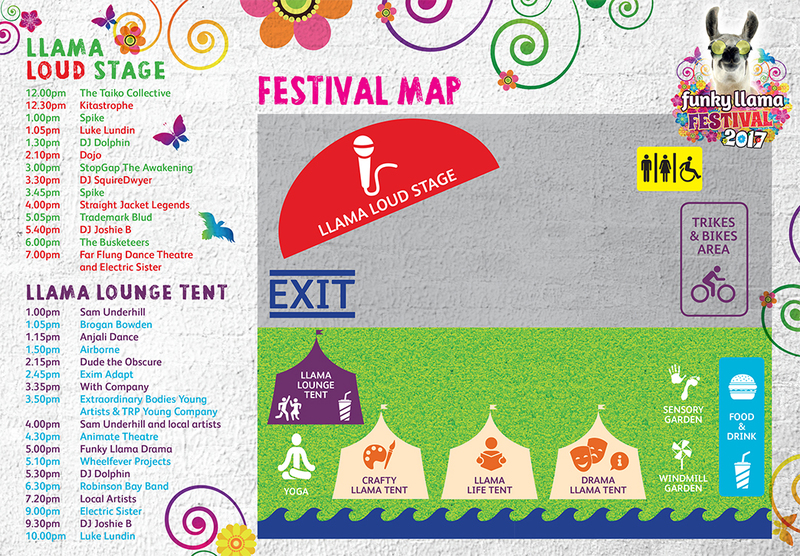 Crowds and Noise – There will be lots of partying and activities to get involved with at the festival, however, as always there will be a chill out area where you can relax and enjoy a massage and some storytelling to get away from the crowds and have some time out. 7. Food and Drink – bring a picnic or enjoy a variety of food from the food and drink stalls. The food options we have available include chips, hotdogs, burritos, Thai food and sweets.